Fabulous 4 BR, 2BA upgraded single story home. This warm house welcomes you into an open floor plan that includes an upgraded and enlarged kitchen. Its dream kitchen features a 6 burner Dacor 48" double door Chefs Range, perfect for entertaining. Island and breakfast bar with Granite countertops. Custom made, easy slide cabinetry and double door pantry for your storage convenience. Master bedroom has vaulted ceilings with custom bathroom cabinets, granite counter and sliding door to the yard. Other upgrades include double paned windows, 2 skylights in Master, remodeled fireplace, updated bathrooms, spacious rooms, and 22 panels of Solar Energy. You&apos;ll enjoy the extended driveway and attached 2 car garage with upgraded attic space for storage in the garage. The backyard has been landscaped and designed to accommodate outdoor gatherings and BBQ&apos;s and includes a gas fire pit. 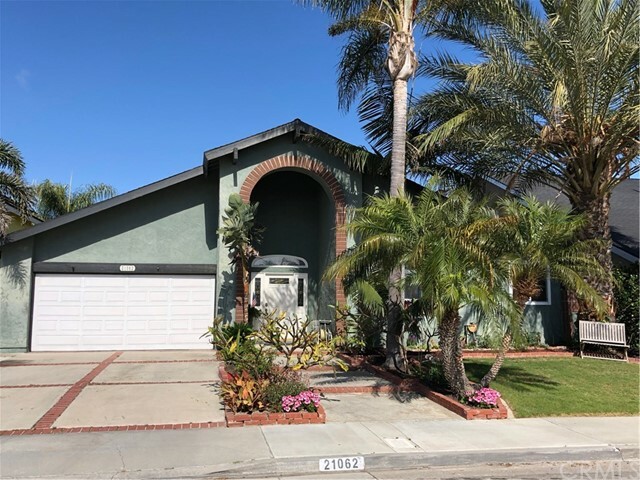 Located in high demand area of Huntington Beach, with award winning schools, 1 mile from the beach, across from Edison High and a block from beautiful Edison Community Center and Park. Two miles from HB Pier and Main Street. Don&apos;t miss out.